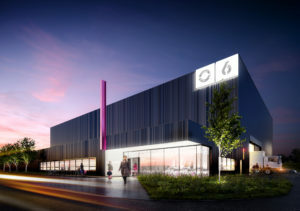 Planning permission has been granted by Manchester City Council for a £14m expansion of Space Studios Manchester, West Gorton, east Manchester, seeing the TV and film production studios double in size, creating 275 jobs and boosting the local economy by nearly £10million a year. The news comes in as Manchester sees a boom in TV production, becoming the go-to destination for TV and film production outside of the capital*. Across the 6.8 hectare (17 acre) site, more than 90,000 sq ft of new buildings will be built for TV and film production and related support activities including a 30,000 sq ft stage. This acoustically treated single storey building with air cooling and heating will have vehicle access from each end through its 6m x 6m stage doors and offer purpose built dressing rooms, wardrobe and make up, a fully furnished green room, extensive wi- fi, furnished production offices, a kitchen, laundry and showers. Also included on site will be more than 6,000 sq ft of offices and green rooms, 10,000 sq ft for set construction workshops – equipped with water and power and vehicle access via roller shutters – and a further 40,000 sq ft of business units to rent for companies who supply to the TV production industry. During excavations of the site it was discovered that during the industrial revolution in the 19th century, this was the site of the iron works, where 1,000 people were employed. Two of these employees, William Beastow and Thomas Goudbehere, formed a football team from fellow foundry workers, and in 1880 West Gorton FC played its first game. This team then became Manchester City Football Club. Construction work is due to start on site in January, with completion expected to be in October 2017. Manchester-based PRP architects, who designed The Sharp Project and Space Studios Manchester, have been appointed as architects on this new scheme. 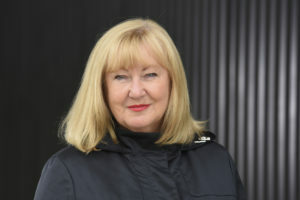 Last week ITV Executive Adrian Bleasdale was appointed to the newly created post of CEO for MCDA, a new company set up to manage, develop and physically expand the assets funded by Manchester City Council to grow the digital, production and creative sectors, which includes Space Studios Manchester. For production booking enquiries and availability please email enquiries@thespaceproject.tv or call 0161 205 5508.